You may need to modify your WordPress site’s php.ini file, which is the default PHP configuration file, to increase the site’s Memory Limit, Maximum Execution Time, Maximum Input Time etc. However, there is no access to the php.ini file in an Azure hosted WordPress Web App! 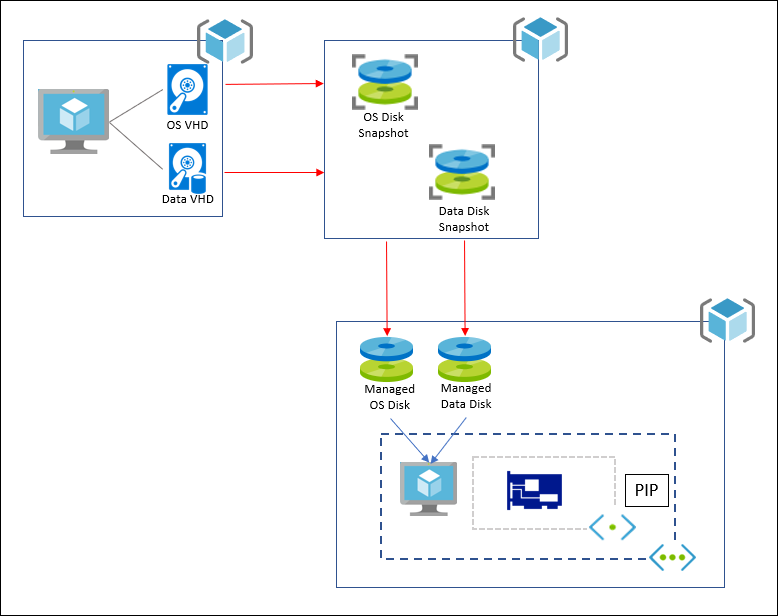 The 3 overview steps to creating (or restoring) an Azure virtual machine (VM) from a stored snapshot of another VMs Operating System (OS) virtual hard disks (vhd). We regularly take new snapshots of a VMs vhds before testing major development changes, adding Windows updates, testing new application settings etc., to allow us to easily revert to the previous state of the VM if desired. In Azure, snapshots are taken of the virtual disks (vhd), not the VM instance itself. Snapshots are full, read-only copies of the vhds.